All K-12 teachers are reading teachers. The school, grade level and content area we work in does not matter. 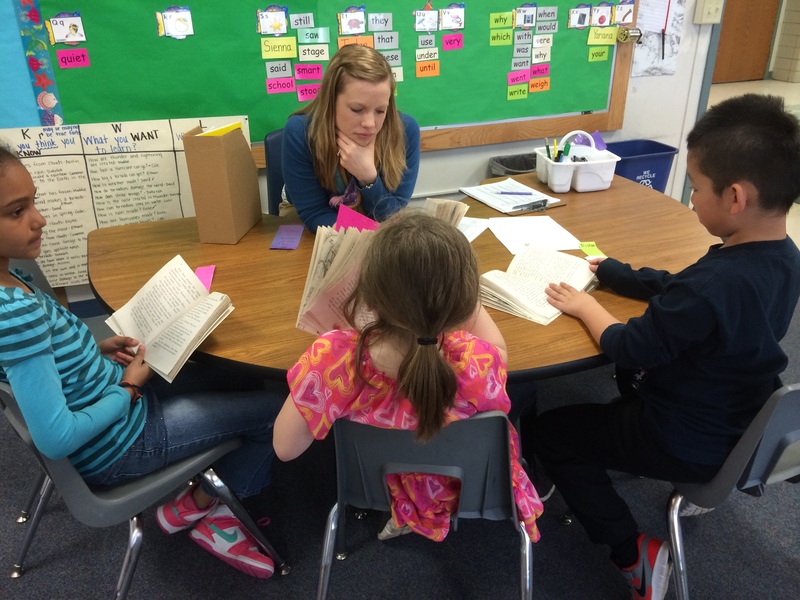 In every classroom, a random group of students will come in with varying degrees of reading ability. And their levels of ability can and do differentiate based on which skill we choose to focus on. That is why it is so critical that teachers have sound understanding of where there students are at in their ability to decode and comprehend text. 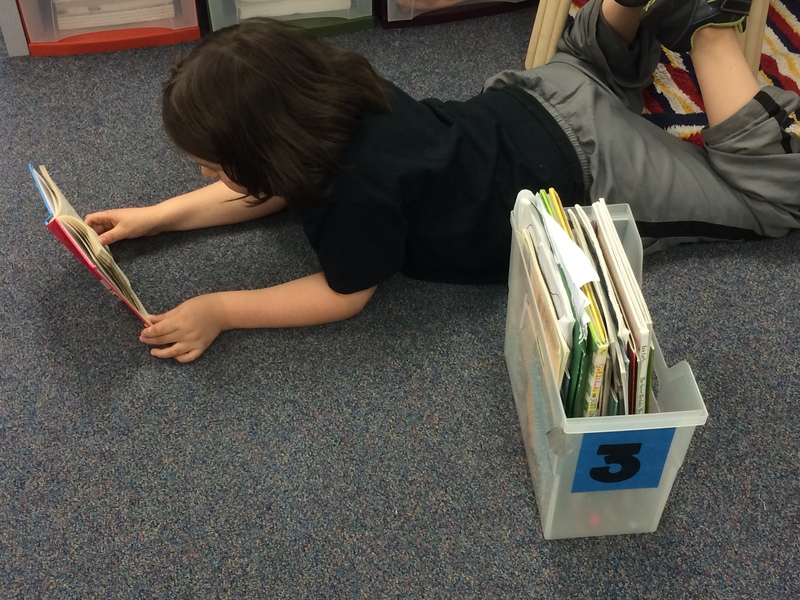 When we know them as readers, we are better at helping them choose books for themselves, we tailor instruction to meet their specific needs, and we know when to release the learning responsibility to the student so they can become independent readers. I share this because in a few days I am going to make a case to approximately 20 or so K-12 teachers that using Evernote on an iPad can enhance their abilities to better assess their students’ literacy skills. Two things I have learned through exploring technology is that a) the “why” needs to come before the “how” and the “what” (Sinek, 2010), and b) the technology should support best practices in the classroom. Form follows function. Dr. Ruben Puentedura developed a framework to help educators understand the place of technology in the context of learning and education. It is titled SAMR, which stands for Substitution, Augmentation, Modification, and Redefinition. This framework shows how the various levels of learning can be raised with the appropriate integration of technology. This bears the question: Is a student not able to reach their potential in the absence of these tools? I don’t know that yet. However, if there are ways to enhance learning in the classroom and we choose to not leverage it, this may be irresponsible of us as educators. The iPad is a computer in the loosest of terms. Yes, you can use it to type a letter, email a friend, and post something on Facebook. What separates it from other computing devices such as the desktop is its mobility, the engagement factor, content creation and integration. Any teacher can use tools such as Evernote to store student information. What makes the iPad (and other mobile devices) a better fit is it can travel with the teacher. No longer do students always have to come to the bean-shaped table for small group and one-on-one instruction. The teacher now comes to them. If you think about it, this is big. The student is not singled out, the conferring and assessing can happen anywhere the student feels comfortable, and the technology allows the teacher to teach and assess concurrently. I don’t know what it is about these devices that just captures the students’ attention. An example: I was using the Reflection app to mirror the iPad screen to the whiteboard. Second graders and I were using Notability to compare and contrast the book and eBook version of The Fantastic Flying Books of Mr. Morris Lessmore. I started the Venn diagram, then handed off the writing responsibility to the closest student. With the iPad on their lap and stylus in hand, he wrote one of his ideas down on the screen. There was no hesitation on his part. This might have been different had I asked him to go to the board and write in front of peers. What was also interesting was that the entire class was reading the words as this student wrote them. The compare and contrast notes the second graders and I made together could be a start to other projects. We could use these notes to write a persuasive essay on Pages and then publish it on a classroom blog. 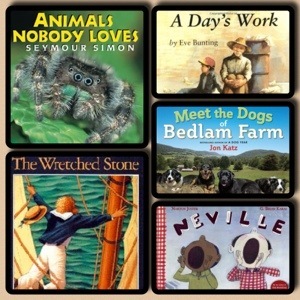 We could create illustrations on Drawing Pad and then use them in an iMovie to highlight the elements of a story. I could go on and on. The possibilities that come with the iPad are multiplied because so many of the applications work in concert with each other. With a simple multi-finger swipe, I can switch from one app to another as I put together a project. Here is how I see teachers using Evernote on the iPad to assess readers. For a framework, I am using the “Assessment to Instruction” steps outlined in The CAFE Book by Gail Boushey and Joan Moser. After each step I also identified the step’s level on the SAMR ladder, based on how the technology would be used to enhance practice. I recommend setting up an Evernote account prior to using it in the classroom. Create a notebook for each student. Also, find out what your Evernote email address is so you send information to a specific notebook with ease. With each step, put the step’s description in the title of the note. Create a new note for each step of the assessment process. Take a running record of a student. Then take a picture of it with the iPad and email it to Evernote using your Evernote email account. To put the image of the running record into that student’s notebook, put the notebook title in the subject line of the email message preceded by the @ sign (i.e. @Mike). To add tags, use the same process, only put a hashtag in front of each key word (i.e. #September #BB16 #GR18). If your assessing skills are a little rusty, I highly recommend Peter Johnston’s Running Records as a quick resource. 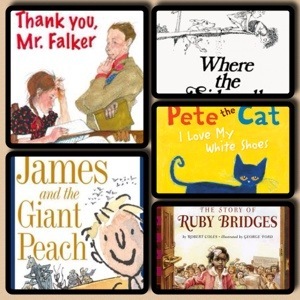 For older kids or when a running record is not enough, Janet Allen offers a variety of ideas that could also be used to assess readers in her resource Yellow Brick Roads, such as surveys, observations, checklists and sentence completions. What Evernote provides is the ability to record audio while taking notes. A teacher can go back to this recording and listen again for what the student said. The student could also be given an opportunity to listen to your discussion of the findings later in the year. Seems like a great opportunity for both teacher and student to reflect on their growth as a reader. With a copy of The Literacy CAFE Menu in front of you, create a new note to document this information. If the strategies and goal are also included as tags in the note, they will be more easily accessible when needed. Also, as a teacher plans for guided reading, he or she can quickly search among tags for a specific strategy to work on. This could greatly enhance the concept of flexible grouping. The same process might take a bit longer with a three ring binder. In addition, snap a picture of their goal and add it to the note for a visual component. Quick iPad tip: Tags are added by selecting the circle button with the “i” in the middle, located on the top right. Again, using tags to note the students’ strengths, goals and strategies will make his or her information easier to find later. Once conferring commences, I could see a teacher using this one note six times before creating a new one. This would involve adding the categories outlined in the CAFE Reading Conference template each time (date, touch point, observation and instruction, next steps). If a teacher is looking to start strategy group instruction based on similar skills (found through tags), he or she can pull students together based on need by creating a Notebook Stack. As far as I can tell, this can only be done on a PC. Just drag one student’s notebook over another and a stack is created. Once a student has shown proficiency in that strategy, he or she can be pulled out of that stack to another group. But where do the strategy group notes go? My suggestion would be to create a whole new notebook within the stack to house these notes. This is where Evernote can be a real game changer. The whole point of assessment is to inform instruction in order to impact learning. If I were still in the classroom, I could imagine pulling up my students’ notes as I planned for future literacy instruction. Instead of hunting for each student’s individual goals and strategies, a quick search in Evernote will pull up what you need to know in a matter of seconds. Groups are quickly formed. They aren’t based on reading level either; instruction is tailored to meet specific needs. Students can receive guided reading instruction at the appropriate complexity level without feeling like they are in the “low” group. Embedding formative assessment in the planning of instruction tends to get lost in the process when everything else needs attention too. Evernote and the iPad are tools that have the potential to both increase productivity and enhance the instructional practices of teachers.